Heartwood color is variable, ranging from a very pale pink to a deeper reddish brown, sometimes with streaks of medium to dark reddish brown. 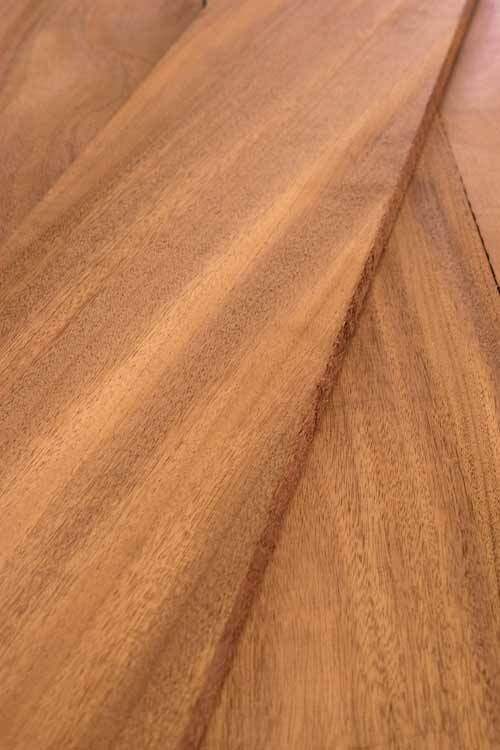 African Mahogany has heartwood with variable color, ranging from a very pale pink to a deeper reddish brown, sometimes with streaks of medium to dark reddish brown. Color tends to darken with age. The principal use of Mahogany is furniture, cabinetry, turned objects, veneers, musical instruments, boat building, and carving. African Mahogany lumber is easy to work, glue, and finish. Tearout can sometimes be a problem if the grain is interlocked.